Dont panic, woodworm wont make your house fall down! Have you ever wondered why old wood worm holes are often visible in floor boards yet there is no history of treatment? Probably not but I will tell you anyway. 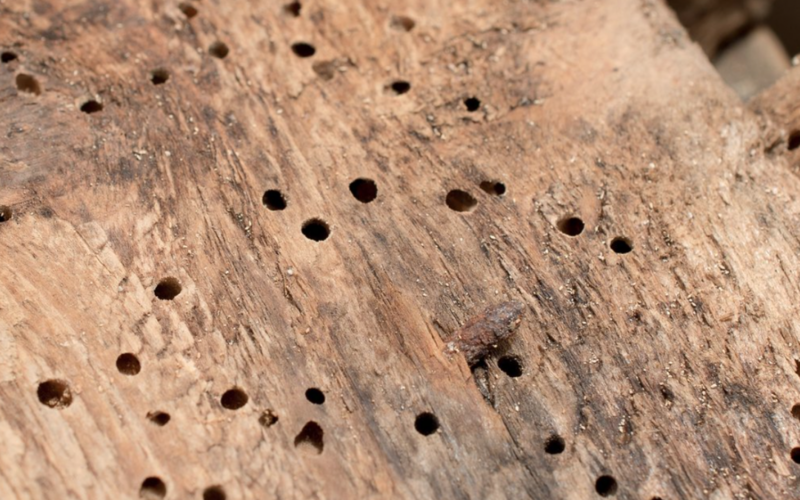 Woodworm (of which there are many forms from common furniture to the dreaded deathwatch beetle) eventually dies off when the wood dries and provided the building is appropriately maintained, there is no reason why any widespread infestation should recur. Of course, areas that are potentially in contact with dampness could remain at risk and these can be addressed by eliminating the source of moisture. In some instances it is impossible to do so entirely, for example where timbers are embedded into the walls. While specialists would recommend treatment , we do not advocate such work as the chemicals can be environmentally damaging and rarely penetrate the areas most seriously affected; only exposed parts where infestation should eventually die off anyway if the wood dries out. Further more, most woodworm is so minimal that it would take years to become structurally relevant; by which time it will probably die out anyway.